Ana Maria López-Narbona, PhD, lawyer and professor at the University of Malaga, Department of Sociology. Visiting Research Scholar at the University of Michigan (US, 2017/2018), at the University of Oxford (UK, 2015), and at the University of Gabrovo (Bulgaria, 2015). Active participant in international projects and congresses such as INTERNATIONAL POLITICAL SCIENCE ASSOCIATION (IPSA), 2016, ARAB TRANSITION PROJECT, 2016, INTERNATIONAL SOCIAL SURVEY PROGRAMM (ISSP), 2016, EUROPEAN SOCIOLOGICAL ASSOCIATION (ESA), Torino (2013) and Genève (2011). Lecturer at the University of Konkuk, Seul, Korea, 2011. International Development Cooperation in Collaboration with the NGO “Down To Earth” Mumbai, India, 2010. Coordinator of the Universidad de Malaga International Development Cooperation Project in Guatemala, 2014-2015. Her main research activities are based on the interest on the international comparative perspective and on values. Beck, U. (1992). From Industrial Society to Risk Society: Questions of Survival, Social Structure and Ecological Enlightenment. Theory, Culture and Society, 9(1), 97–123. Diez-Nicolas, J. (2013). Sociological Theory and Social Reality. 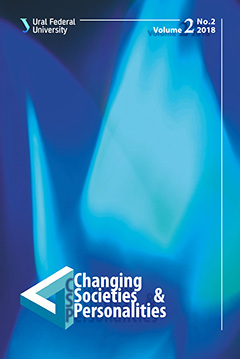 Revista Española de Investigaciones Sociológicas, 143, 7–24. DOI: 10.5477/cis/reis.143.7. Elias, N.  (2001). The Society of Individuals. London, UK: Bloomsbury Academic. Galtung, J. (1976). Social Position and the Image of the Future. In: H. Ornauer et al. (eds.). Images of the World in the Year 2000: A Comparative Ten Nation Study (pp. 381–400). Atlantic Highlands, NJ: Humanities Press. Giddens, A. (1991). Modernity and Self-Identity. Self and Society in the Late Modern Age. Stanford, CA: Stanford University Press. Hochschild, A. R. (2016). Strangers in Their Own Land: Anger and Mourning on the American Right. New York, NY: The New Press. Kaplan, A. (1973). The Conduct of Inquiry: Methodology for Behavioral Science. New Brunswick, NJ: Transaction Publishers. Merrit, R. L., & Rokkan, S. (Eds.). (1966). Comparing Nations: The Use of Quantitative Data in Cross-National Research. New Haven, CT: Yale University Press. Mol, A. P. J. (2008). Environmental Reform in the Information Age. The Contours of Informational Governance. New York: Cambridge University Press. Oosterveer, P. (2007). Global Governance of Food Production and Consumption: Issues and Challenges. Cheltenham, UK: Edward Elgar Publishing. Smith, T., Sonnenfeld, D. A., & Pellow, D. N. (Eds.). (2006). Challenging the Chip: Labor Rights and Environmental Justice in the Global Electronics Industry. Philadelphia, PA: Temple University Press.